Check your glutes before you go! Home » Check your glutes before you go! On a scale of weird things ever said to me, “Your glutes aren’t firing, Michael” definitely ranks right up there. Yes, apparently I have dodgy glutes. The news came as a shock to me. You see, I thought my glutes were performing fairly well as they have carried me through a few Two Oceans Ultra Marathons and a Comrades Marathon. And my dear wife still thinks my glutes look fabulous in a pair of jeans. Yet having upgraded my mountain bike recently, it came as news to me when a fitness expert told me that it’s all fine and well to get fitted for your bike and kitted out in the latest equipment, but making sure your body is in sync is equally important for the quality of your riding. The wealth of stage races in South African mountain biking means you see all shapes and sizes on the trails. 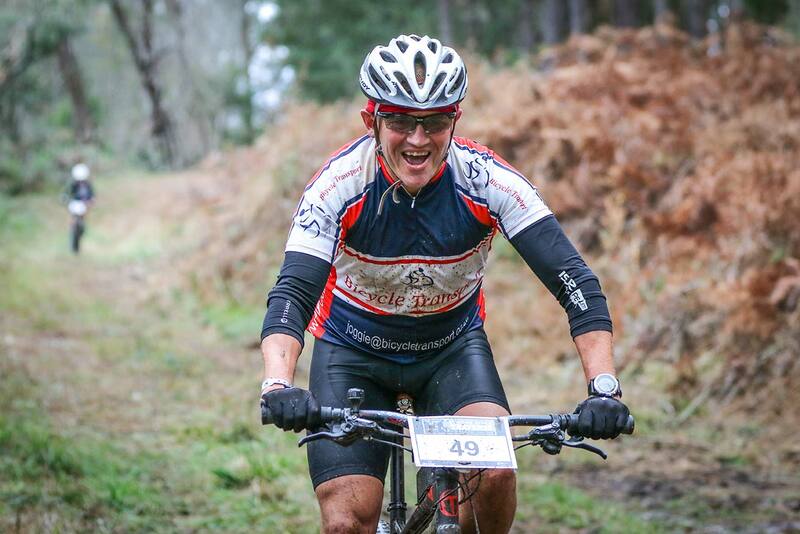 This August I’ll be returning to one of my particular favourites, the Glacier Storms River Traverse on the spectacular mountain bike trails of the Garden Route. 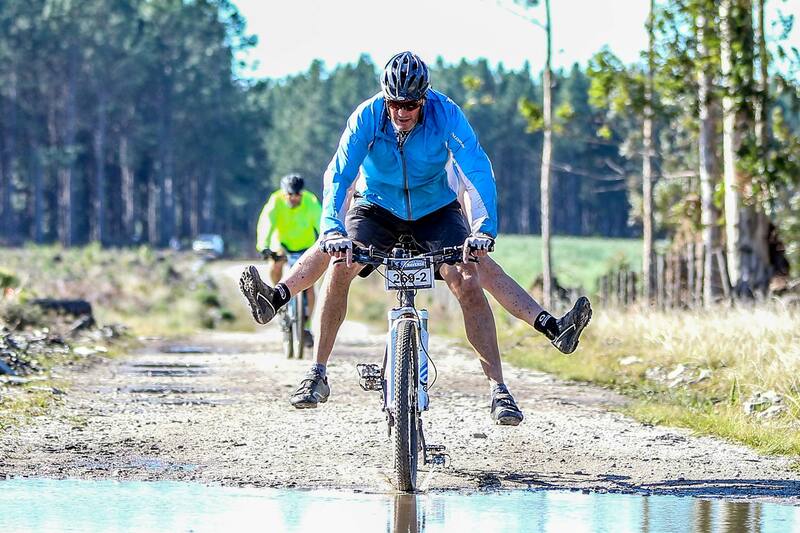 From 10-12 August, the trails around the Tsitsikamma Village will once again host this three-day stage race that has fast become a favourite amongst families seeking a challenging yet fun event. This is not a race that caters for the ultra-serious rider looking for personal bests, but rather places an emphasis on personal enjoyment. And one thing I’m starting to realise is that if your glutes aren’t firing, baby, then you’re not getting the most out of your time in the saddle. “Michael, biokinetics is an essential component to your training. You need symmetry in your body,” says my friend and human kinetics expert Garth Milne. And no, symmetry is not the name of the latest protein bar. Garth works primarily with South Africa’s leading golfers and keeping their bodies in sync with their swings. According to Garth, golf and tennis are asymmetrical sports because they cross body lines, whereas mountain biking is a symmetrical body movement. Now stick with me all of you who dropped biology in Grade 10. This is important. Garth once worked with a female mountain biker far more talented than yours truly, and they discovered her power output on her left leg was less than on her right. So after a bit of what Garth casually refers to as “basic biomechanical analysis”, they discovered her left glute wasn’t firing. So you see people, all glutes are not created equal. Even elite athlete glutes go rogue now and again. “We did a lot of work to try and create symmetry between her left and right side, and her power output increased on a more consistent basis,” says Garth. Well my fellow muddy mate, you should be spending more time thinking about those glutes. You see, it turns out in a very weird way, Lance was right about one thing. It’s not about the bike. So the message is, pay a visit to your local physio and make sure you’re properly balanced before you tackle that stage race to make sure you’re riding as efficiently as you can.